Have you pressed your argyle and polished the silver? It's time for the Kentucky Derby! We're having so much fun dreaming up outfits and pairing hats with our dresses - it's a shame we can't wear them all this weekend! 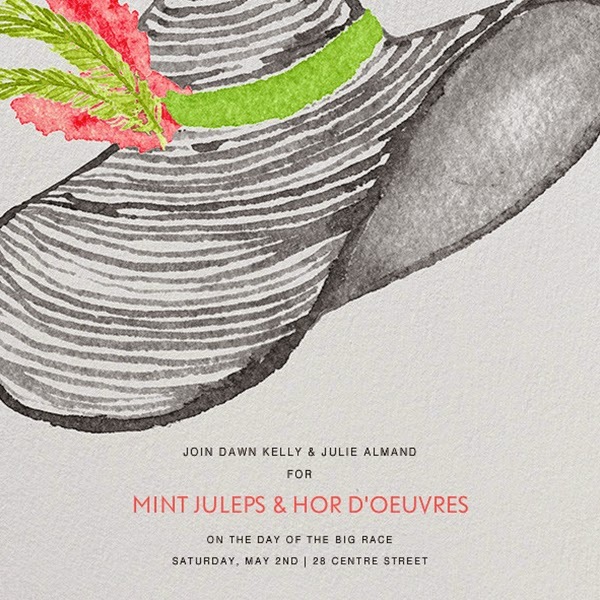 If you're getting together with friends and family to watch the race and sip on Mint Juleps, here are a few ideas on what to wear and what to serve! First up - What to Wear!?! 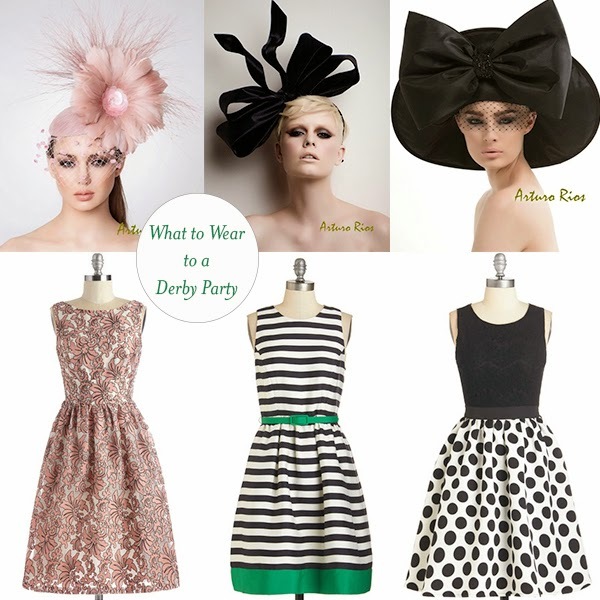 We're excited to feature Arturo Rios' hats and fascinators - they're such works of art! We've paired his hats with some of our favorite ModCloth dresses! We chose fit and flare style dresses, perfect for all body types and paired them with fun, statement pieces. Head on over to their Fit & Flare section for more reasons to dress up this weekend! Now, there's no point in dressing up if you're not going to strut your stuff! Invite a gaggle of ladies over, tell them to dress appropriately and have their guys wear all the argyle they can find! We love Paperless Post - their designs are lovely and the delivery is instant! We stayed with our color palette of black, white and pink, even for our invitation! Next, you better be prepared! Here are a few recipes that are sure to knock their socks off. Cocktails are a must, and we Soirée girls never pass up the opportunity to put a fun twist on the expected. 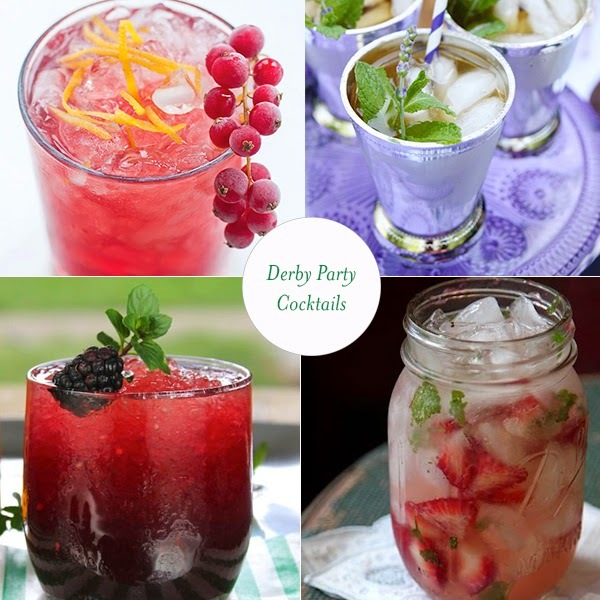 Here are some fun sips for your party! 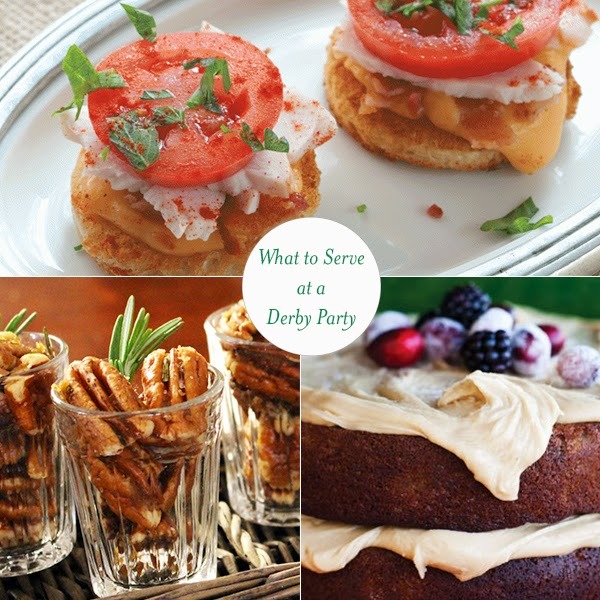 Head on over to Pinterest for more of our suggestions for your Derby Party!